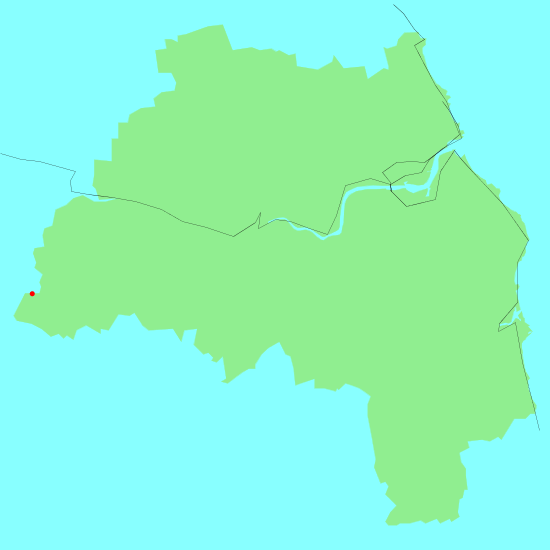 Tyne and Wear is a small, heavily-industrialised county in the northeast of England. It includes Newcastle, Sunderland and Gateshead, and the rivers Tyne and Wear. There are some pretty stretches of coastline, especially to the north of Newcastle. The eastern end of Hadrian's Wall national trail lies within the county. Below is a map showing all the walks that I have completed in Tyne and Wear. This was a total of 92.8 miles in 5 walks (an average of 18.55 miles per walk).